Kim Yang Gon, 73, died Wednesday in a car crash, a state-run news agency reported. According to a state-run news organization, Kim Yang Gon, North Korea’s top negotiator died in car crash. The new agency declined to provide more details. Kim Yang Gon, 73, was a key high-rank official who was in charge with handling the tense diplomatic relationships with South Korea for years. The report comes after a series of other incidents involving high-ranking officials who died in similar circumstances. Kim Yang Gon was in office since the time of former North Korean leader Kim Jong Il, who died in Dec. 2011. The official’s death was revealed Wednesday by the Korean Central News Agency (KCNA). In August, Kim Yang Gon managed to restore peace between the two countries after an armed conflict at the border. He ran the governmental department that handles peace negotiations and other issues with South Korea. Kim was especially popular at Pyongyang and one of the most trusted men of the current leader Kim Jong Un and his family. People who knew him said that he was very close to Kim. Nevertheless, when people hear about the death of a top official in North Korea, they suspect that the government done it. Many politicians were either purged in ‘accidents’ ot bluntly executed. For instance, Kim Jong Un ordered his own uncle execution a couple of years ago, and the media called the deceased a “human scum” and other unflattering descriptions. As for Kim Yang Gon, the state-run media used a totally different wording praising him on every occasion. KCNA called the official “closest comrade-in-arms” to the current leader, who played a huge role in the communist revolution. 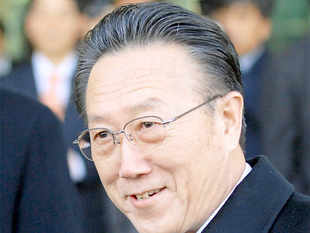 Han Park of the University of Georgia where he teaches international relations recalls that the man before Kim Yang Gon in office also died in a car crash. Park is especially interested in North Korea, and managed to negotiate the release of two U.S. journalists from the country six years ago. But Park cannot envision that between Kim Yang Gon and the supreme could have been a disagreement. Nevertheless, he underscored that many top officials died in traffic accidents. And this is all the more puzzling since high-ranking officials have a tight security when they travel around the country. Most of the times, streets are cleared beforehand to allow them to pass in safety. Still, this is why many top officials loved to speed. So, theoretically, accidents can happen.